Practice blameless problem solving — having a blameless conversation is the way to get to the root-cause of a problem and being able to improve it collaboratively. I had the pleasure to interview Dr. Orsula Knowlton. Dr. Knowlton co-authored the first published consensus guidelines on the standards for anticoagulation management centers in conjunction with the Anticoagulation Forum. She has authored and co-authored book chapters and articles focused on pharmaceutical care and medication therapy management. Orsula was voted one of Philadelphia’s “Most Distinguished Women” in 2006 (Philadelphia Business Journal), and ”NJ’s Best 50 Women in Business” in 2008 by NJBIZ. 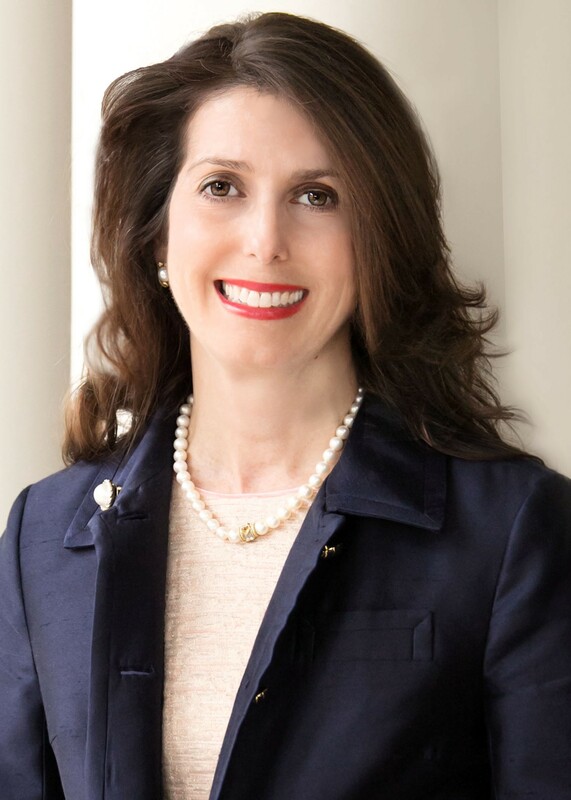 She currently serves on the Board of Directors for Samaritan Hospice, Marlton, NJ and West Jersey Chamber Music Society, Moorestown, NJ. She is a former Chair of the Medical Committee for the nationally known American Heart Association’s “Red Dress Luncheon” in Philadelphia, has served on the Dean’s Advisory Board, School of Public Health, Drexel University, Philadelphia, PA; Jefferson School of Pharmacy, Philadelphia, PA; and George Washington Institute on Spirituality and Health, Washington, D.C. Dr. Knowlton is a former Board Member for Family Services, Westhampton, NJ, and Perkins Center for the Arts, Moorestown, NJ. Dr. Knowlton is a guest pharmacy management instructor at Thomas Jefferson University School of Pharmacy. Dr. Orsula Knowlton graduated from the University of the Sciences in Philadelphia with bachelor and doctorate degrees in Pharmacy, and from Temple University with a Masters in Business Administration. Having been brought up in a family business, I was destined to be on an entrepreneurial track. I considered the profession of pharmacy for two reasons. The first, a pharmacist married into my family and shed much insight into the medications that my grandmother was taking. She lived with our family. This made me realize that the skillset of a pharmacist can help others. Second, I was not considered a candidate to be involved in our family business since females were not allowed. In hindsight, that was a very good thing for me. I think the most interesting story is around our company’s IPO in September, 2016. Being an active part of the IPO process on the road show, informing potential institutional investors about who we are, what we do, the impact it can have on health outcomes, our markets, our trajectory, and fielding questions was very interesting and exciting. I don’t consider anything a mistake — there is so much to learn from mistakes. However, I think the biggest mistake was getting involved in the aviation business, completely outside of our area of focus in healthcare and medication safety. I wouldn’t consider a funny mistake either. Sorry! Our company has a purposeful mission of leveraging technology to improve health. What makes our company stand out is our company culture. A company’s culture is how it makes decisions. We have adopted 32 fundamentals of the behaviors that we expect from each other. Our #1 Fundamental is ‘do the right thing always.’ We truly believe in these and support our team to embrace them. Yes, multiple! The one most near and dear to my heart is the beta launch of a new mobile app called MyMedWise that will provide access to personalized medication risk information to individuals in real-time. My suggestion would be to ‘amplify’ what another female says in a room in support of their thoughts or ideas in order for them to be heard. Amplifying is away to demonstrate support, and helps a fellow female’s voice to be heard in the room. Managing large teams requires a systematic approach to planning, management by objective and metrics, and organizing time to support team members. My advice would be to hold people accountable and avoid micromanaging to assure team success. I have been blessed with multiple mentors at various stages of my life, including people whom I have mentored, and who now have come back to work with me and are mentoring me. I have my family to thank most for their support and a call-out to my groom for having confidence in me and us to do what we do. Giving and philanthropy are an important component of a successful life. Our family supports those in need and we take the opportunity to go above and beyond for others as much as possible. Our company provides individuals opportunity for community service and invests in our local community. 1. Do the right thing always — never compromise doing the right thing, in my area of work, for a patient — over anything else. 2. Listen generously — if you have ever given a talk without taking a poll or listening to what people want to learn from you first, you will realize how easy it is to put people to sleep! 3. Practice blameless problem solving — having a blameless conversation is the way to get to the root-cause of a problem and being able to improve it collaboratively. 4. Embrace change. We can count on taxes, death and change! Being unwilling to change only makes life painful. Having a joyful attitude about the good that change can bring can be positive for everyone involved. 5. Celebrate success and keep things fun. We have a Sunshine Club at the office that helps coordinate events and celebrations around birthdays and company success. I would inspire a movement about medication safety — to help people avoid preventable adverse drug events, the 4th leading cause of death. This quote is relevant to my life as a philosophy to bring balance between work and family, knowing that my eulogy will not include my resume virtues.